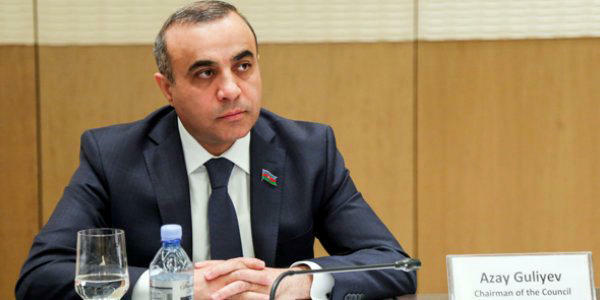 Azerbaijani non-governmental organizations (NGOs) face a number of difficulties financially, said Azay Guliyev, Azerbaijani MP, chairman of the Council of State Support for NGOs under the President of Azerbaijan, at a plenary session of the Azerbaijani parliament. Guliyev noted that state support has been provided to civil society institutions, in particular, the country’s NGOs, for ten years under the initiative of Azerbaijani President Ilham Aliyev. He urged Azerbaijan’s Finance Minister Samir Sharifov to pay attention to this issue. “Especially considering that the funds allocated to the Council over the past three years haven’t increased, but decreased,” Guliyev said. He reminded that if in 2015, 6.6 million manats were allocated, now this volume amounts to 5.6 million manats. It is necessary to consider that NGOs that protect the interests of the state, especially need support, he said. He once again appealed to the minister of finance to provide the Council of State Support for NGOs with additional 4.6 million manats from the state budget and consider the issue of financing the general budget of the council in the amount of 10.2 million manats. The Azerbaijani parliament started to discuss the state budget for 2019 on Nov. 13.